Chances are you put back more than a few bottles of delicious wine over the Holidays. Chances are, you’re not alone. Chances are, I may have drunk my share (and then some), too. Wine was just the start – I blasted through a few bottles of bourbon, a bottle of gin, and few bottles of spiced rum, with and without eggnog. Alas, here we are now in 2019 – Happy New Year to one and all! 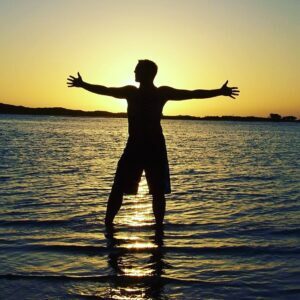 Regardless of how you celebrate the turning of the page on the past year, I believe it’s important to start fresh by making some reasonable, attainable goals. A perennial favourite is to get back into one’s fitness regime after the over-indulgence of Season’s Eatings. It may seem a bit cliché, but those who haven’t put on a few unwanted “LBs” after the Holidays are few and far between. Part of the process is also changing what and how much you consume. Herein lies the crux of this post: life is more fun with wine. Dry January has gained a lot of traction this year, with Dry February beginning to poke out its sour head and peer at us all in our social media feeds. These are excellent, limited-time undertakings that have proven health benefits: clearer minds, better sleep, healthier outlook, and fewer empty calories to burn off. But, you guys: life is more fun with wine. We know that not all wines are created equal, and each wine carries with it a different alcohol content and calorie count. Some wines produced in the New World can be higher in alcohol than those from the Old World, especially in unique climates like the Okanagan. 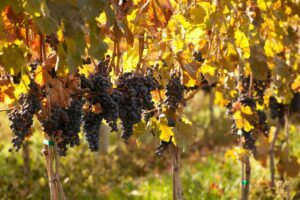 Along with traditional and stylistic choices, this is largely due to “hang time” for certain grapes. This refers to the amount of time the fruit is left to ripen prior to harvest. Heat is also a factor – hotter years lead to higher alcohol content. As the fruit ripens, more sugars develop; thus, through fermentation, more alcohol and more calories are yielded. It is inaccurate, however, to believe that all wines produced in BC are loaded with booze and calories; it’s just plain wrong. NOTE: I’m not a dietician and I’m not about to scientifically advise you on how to lose weight, get in shape, or heal your inner child. But what follows may be of use in your program. Bubbles: Bring it on! Sparklers like Prosecco or Asti have less booze in them, thus less calories. You’ll find most Prosecco or Asti under 12.5% abv. Partial to Champagne? Do not despair. Brut is the term applied to the driest (least sweet) Champagnes. While we can’t call it Champagne, Mission Hill Exhilaration Brut is their first sparkling wine release; 100% Chardonnay, only at 11% abv. 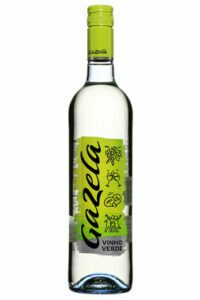 Vinho Verde: Produced exclusively by Portugal and the name itself is protected. If you’re not yet familiar with it, do yourself a flavor favor and discover it soon! Vinho Verde literally means “green wine”: it’s got kind of a light green tint to it, and the slightest bit of effervescence. Vinho Verde usually weighs in at 9% abv, 10% at the most. To my knowledge, there are no local producers of this style of wine – but keep an eye out for Albariño or Verdejo here in the Okanagan, specifically from Stag’s Hollow or Terra Vista. Both have higher alcohol than Vinho Verde – around 13% abv – and are not sparkling,but are both dry and concise on the palate. Chenin Blanc: First, go to the source in France’s Loire Valley for your Chenin Blanc. There are many styles – sec (dry), tender (off-dry), demi-sec (semi-sweet), moelleux (sweet), and pétillant (sparkling). Remember, the sweeter the style, the heavier on calories, so I’d stick with a dry Chenin. You’ll find them at less than 12.5% abv. Quails’ Gate Chenin Blanc is a wonderful option if you want to keep it in BC; with 13% abv it’s worth the ‘cheat’ for the treat of enjoying this regal wine. Burgundy or Beaujolais: “You’re using more foreign words!” OK: Pinot Noir or Gamay. YES, RED WINE! Old World, New World, you choose. Pinot Noir and Gamay are light in body and colour, but note that the alcohol is most often between 12.5% abv and 13.5%. You can see we’re creeping up a bit in alcohol and calorie content…steady on, mate! Don’t be afraid to check out the France section at your wine shop, but BC Pinot Noir and Gamay are among my favourites. 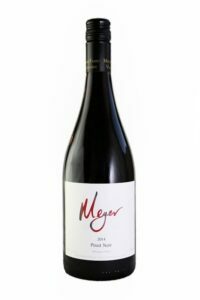 Meyer Family Vineyards makes some of the finest Pinot in the Valley, with an alcohol content at 13.5% abv. Tantalus Vineyards Pinot Noir 2016 is also an outstanding option, hand-picked and created from small lots with 100% wild fermentation, at 14.2% abv. Volcanic Hills Gamay is very consistent, light in body and flavour, and also yields around 13.5% abv. Bordeaux: Specifically, Cabernet Sauvignon and Merlot. But, go easy amigo. These Old World classics usually show around 13% to 13.5% abv, sometimes 14% abv. These red varietals are higher in alcohol, particularly from here at home. Hang time contributes to this, so ensure you limit yourself if you’re counting the calories. Poplar Grove Merlot, at 14% abv, is at the higher end of the scales…but is so worth it for the layered flavours of wild berries and dark chocolate, tempered by chalk and subtle oak. So, there you have it. In the meantime, don’t give up on your fitness goals. And don’t give up on wine! Leave the self-loathing at the door. If you choose to drink you can still rejoice in the pleasures of enjoying the (occasional) glass of Vitamin W.
Just be smart about what you’re drinking – if you find a wine with lower alcohol, enjoy! Feel free to share your findings with us as we are always keen for new information. 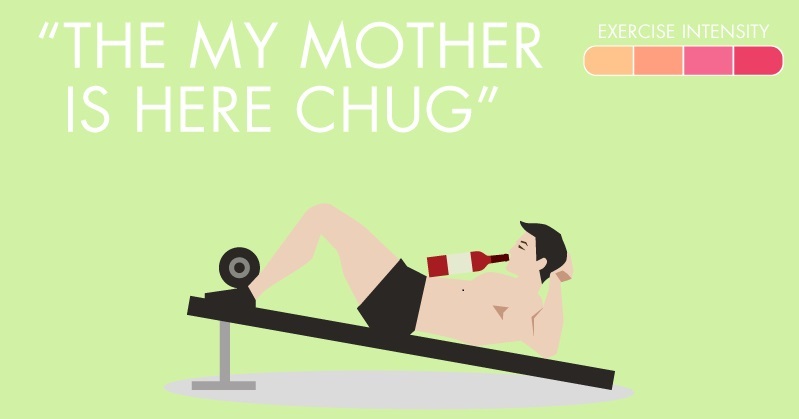 For my part: admittedly, it has been tough for someone like me who loves wine and is carefully monitoring his waistline, but with discipline and education it’s become a lot easier. I truly hope this has been somewhat useful, and whatever your goals are for 2019 – make it a great year.